Last Sunday, our pastor preached about Joseph. He’s my favorite Old Testament character. His faults are never shared and only his strengths. He went through many trials and suffering but we are never told of his complaining and God was with him. He was a wise man. His brothers treated him horribly and sold him into slavery. Then he was put into prison for years for false accusations. His life was terrible! BUT God moved in miraculous ways to use Joseph mightily for His purposes. When there was a deep and lasting famine, his brothers came to him since Joseph had known that this famine was coming and had prepared Egypt for it so the people would not starve. He revealed himself to his brothers later on and instead of being angry and bitter, he said, “Now therefore be not grieved, not angry with yourselves, that ye sold me hither: for God did send me before you to preserve life…to save your lives by a great deliverance” (Genesis 45:5, 7). Furthermore, he told them, ‘But as for you, ye thought evil against me; but God meant it unto good, to bring to pass, as it is this day, to save much people alive. Now therefore fear ye not: I will nourish you, and your little ones. And he comforted them, and spake kindly unto them” (Genesis 50:20, 21). This is a great example to all of us of showing forgiveness and grace to those who have hurt us and not allowing bitterness to defile us as we are warned (Hebrews 12:15). 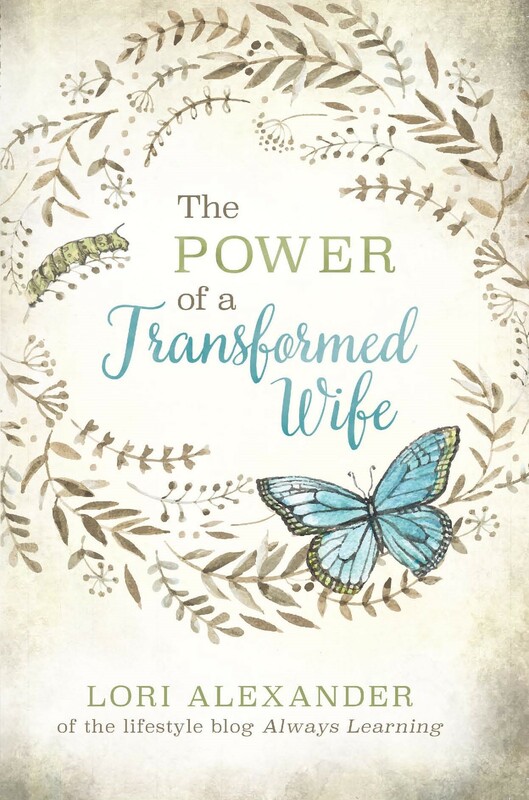 Many families and marriages are torn apart from bitterness and lack of forgiveness. If you think you’ve been treated unfairly or poorly, look at Joseph and model yourself after him. He trusted God and he showed grace and forgiveness to all who hurt him. Many of you will be spending the holidays with family members that you don’t enjoy, that have hurt you, and/or with husbands who are disobedient to the word. The Lord wants you to show grace upon them all, just as Joseph showered grace upon his disobedient brothers. We are called to be peacemakers as far as it depends upon us. We are told to love even our enemies. Love is long-suffering. It is kind. Love doesn’t envy (“Oh, I wish my husband was like her husband!”). Love does not show off and act better than others. Love doesn’t seek its own but thinks more highly of others. Love doesn’t get offended or angry easily. Love doesn’t rejoice in evil (as many are doing today) but rejoices in the truth. Love bears all things, believes all things, hopes all things, and endures all things. Love NEVER fails. God calls you to love your family, yes, even your rebellious and disobedient family members and/or husband. They need to see Jesus living in and through you. They need to see you acting differently than most in the world. They need to see your grace and forgiveness showered upon them as Joseph showered upon his brothers (heaping burning coals upon their heads). They, most likely, need Jesus. Show them Jesus. Happy Thanksgiving and may the Lord bless you richly! This was just what I needed to hear as I get ready to spend the day with some difficult people in my family. Thank you for the encouragement and getting my heart in the right place. You’re welcome, Crystal, and have I hope you were able to have a wonderful day! A VERY Happy Thanksgiving to you and your family, Lori! We have sooooo VERY MUCH to thank God for– today and everyday!!! We sure do, Debbie! God is so very good all the time! Blessings to you. Yes! A very timely post Lori! I read this on my phone yesterday as I was sitting across the room from the most difficult person in my life. 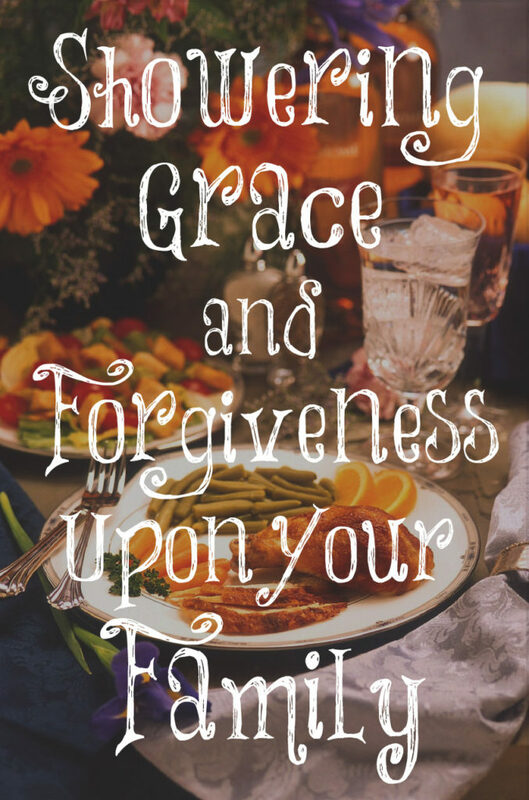 The older I get the more I see that we need grace and forgiveness toward our family. It is one of the greatest ways we can honor our parents. They are so blessed when their children all get together and get along. I loved that you taught from the story of Joseph. None of my family members have sold me into slavery, or done any worse than that, so I can handle spending some time on a holiday with them. We may be the only ones in their lives that will show them Jesus! Thank you…. this is what we need to be reminded of, becuase there’s a whole lot of ‘survival guides’ out there on how to ‘deal with’ family, becuase yes, chances are if you are around someone long enough, they may irritate you or hurt your feelings. But forgiveness or even just gratitude for the awesome things they do is still always an option!